Send the Floral Garden so give someone the gift of a seasonally appropriate overflowing garden, right in their home. 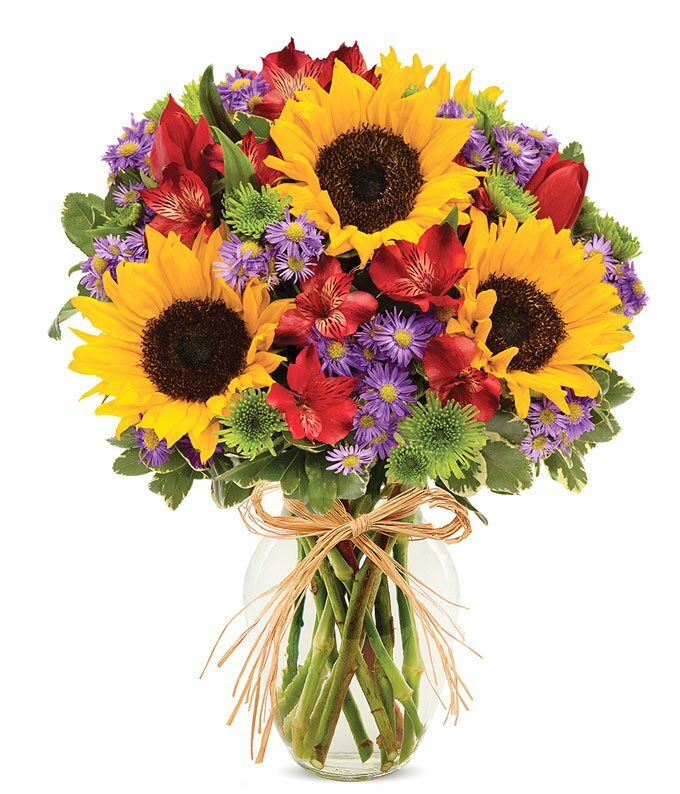 This bouquet is filled with bright yellow sunflowers, green poms, pink tulips and more! You can send these as a thank you, a congratulations, or simple a "I'm thinking of you!" Delivered in a clear glass vase, wrapped in farmhouse style twine, this bouquet is arranged by a local florist and hand-delivered. Measures 12"H by 10"L.